Place a couple of bacon slices on a baking sheet and bake at 180° C in the oven. Let bacon cool down. Save the excess grease in a big jar and fill up with LION’s Munich Handcrafted Vodka. Close the jar and shake. Allow for it to infuse for one week in the fridge. Open the jar and remove the grease layer. Place a fine sieve and extra coffee filter above a big clean jar to strain the Bacon Infused Vodka. Pour all ingredients into a shaker filled with ice and shake. Strain the drink into a cooled long drink glass. 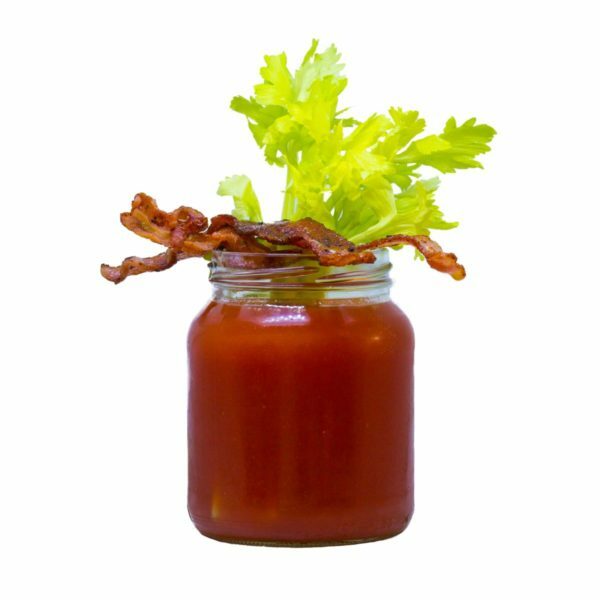 Garnish with a celery stalk and one slice of bacon. Sprinkle Italian herbs, salt and freshly ground pepper on top.